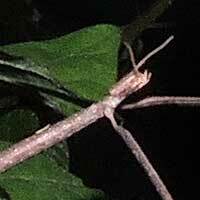 This walking stick was found on garden vegetation at night. Kapenguria, Kenya, July 2014. Perhaps because they so resemble a part of a harmless plant these insects rarely evoke the ire or fear of people who generally don't like arthropods of any kind. The wonder of how the insect can disguise itself so convincingly might also be a factor in endearing these bugs to school children and nature lovers everywhere. 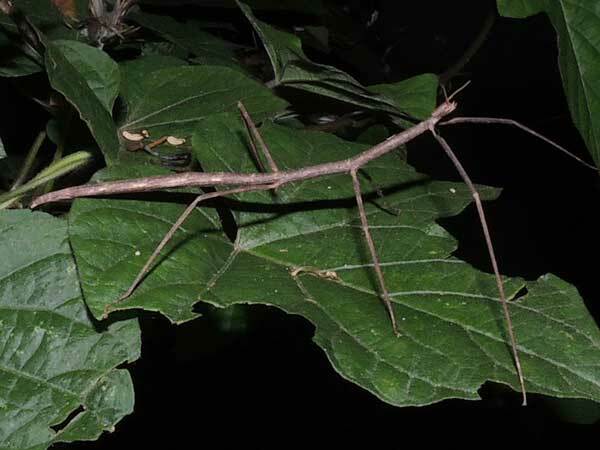 This species has very short antennae, unlike most other stick insect species.